Obituary for Robert R. Tosadori | McDermott Funeral Home, Inc.
Of Stowe Twp., on March 25, 2019. Beloved husband of 66 years to the late Rita; loving father of Robert H. “Bussy” (Kristine), J. Christopher (Dolores), Sherry (Michael) Sprys, Keith F. (the late Regina), R. Claire (David) Gregg; grandfather of 11; great-grandfather and great-great grandfather of many; son of the late Sante and Palma Tosadori; brother of Helen (the late Vince) Cardillo and the late Joseph (the late Vicki) Tosadori; also survived by numerous nieces, nephews, and cousins. 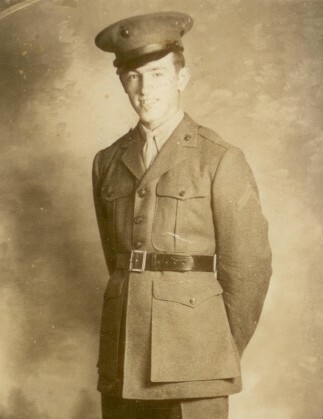 He was a proud US Marine, serving in WWII. He was a previous football and softball official, OVUA rules interpreter and GPFL Commissioner. Family and friends will be received on WEDNESDAY from 2-8pm at the McDERMOTT FUNERAL HOME, INC., 1225 Chartiers Ave., McKees Rocks. Transfer prayers will be offered THURSDAY in the funeral home at 9:00am, followed by a Mass of Christian Burial at 9:30 a.m. in St. John of God Parish, Church of St. Mary.